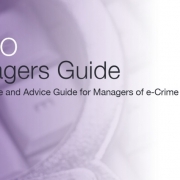 The ACPO good practice guide for dealing with computer based evidence was first released in the late 1990s. Since then, there have been five iterations; some of the changes include an update in document title. The guide is essential reading for anyone involved in the field of digital forensics. 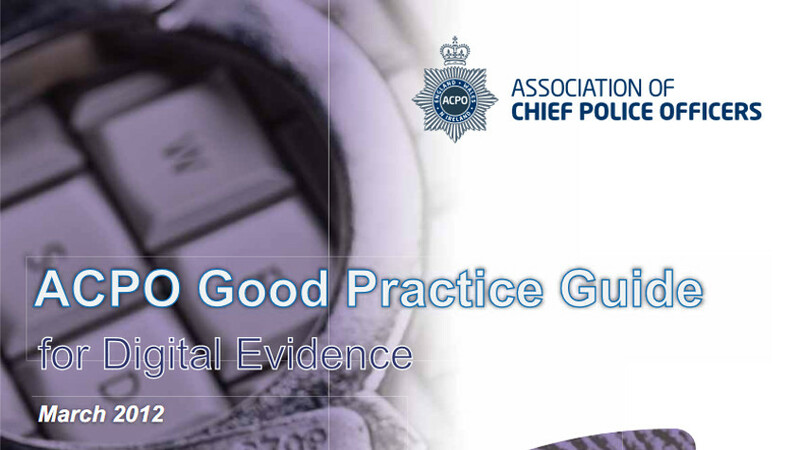 The latest version “ACPO Good Practice Guide for Digital Evidence” has been updated to include more than just evidence from computers. This guide has changed from version 4, where it centred on computer based evidence; the new revision reflects digital based evidence and attempts to encompass the diversity of the digital world. As such this guide would not only assist law enforcement but the wider family that assists in investigating cyber security incidents. I commend all to read and make use of the knowledge and learning contained in this guide to provide us with the right tools to carry out our role. It seems that whenever a review of ACPO guidance is carried out we are in the middle of technological changes that have vast impact on the work that is done within digital forensic units. It is a testament to the authors of the original four guiding principles for digital forensics that they still hold today, and one of the key early decisions of the review board was to keep those four principles, with only a slight change of wording to principle four. We work in an area of constant change. There is a continuing need to re-evaluate and revise our capacities to perform our duties. There is a need to recover and analyse digital data that can now be found within the many devices that are within day to day use, and can supply vital evidence in all our investigations. Hence a second key early decision was to change the title of the document to ACPO Good Practice Guide for Digital Evidence. This would hopefully encompass all aspects of digital evidence and remove the difficulty about trying to draw the line to what is or isn’t a computer and thus falling within the remit of this guide. It is important that people who work within the arena of digital forensics do not just concentrate on the technology, as essential as that is, but that the processes we use are fit for the purpose, and that skills and capacities within units reflect the demands that are made on them. A prime example of this is the use of the word ’triage’. It has been a subject of much discussion within the forensic community. It should be noted that it does not mean a single triage tool rather it is a complete process where certain tools will play a part but are not the whole solution. This guide is not intended to be an A-Z of digital forensics, or a specific “how to do” instruction manual. It should paint an overall picture and provides an underlying structure to what is required within Digital Forensic Units (DFUs). Therefore, the guide has been produced as a high-level document without the specific guidance included in previous versions, as this guidance is now available elsewhere. Where relevant, links to other guidance documents will be given. In this document Digital Forensic Unit is used to cover any type of group that is actively involved in the processing of digital evidence.